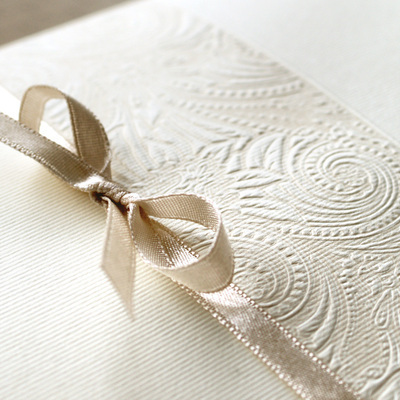 Wedding invitation with a embossed and printed floral motif. 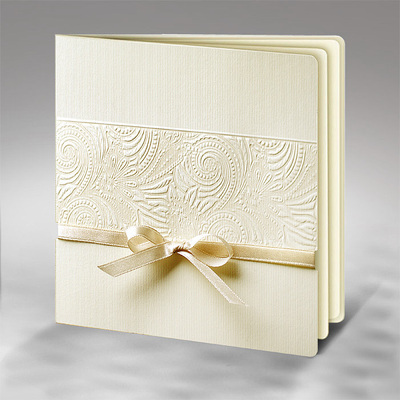 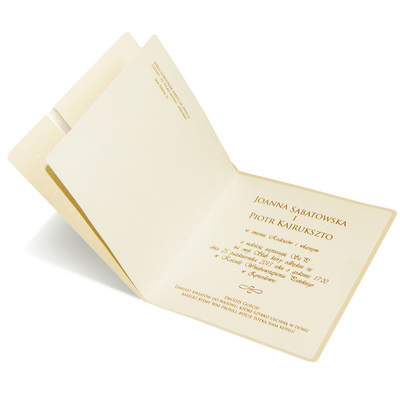 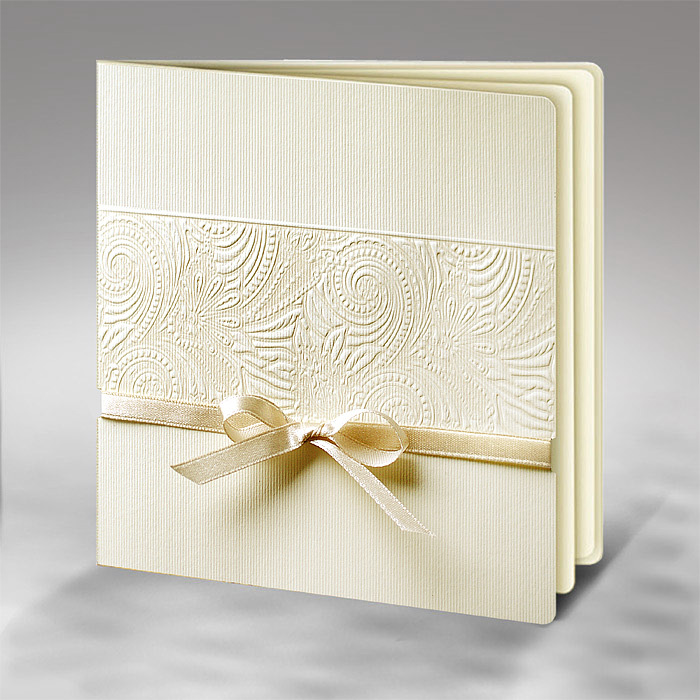 The invitation is made from high quality ecru, textured paper. All tied with a gold satin ribbon. The insert is matte ecru. 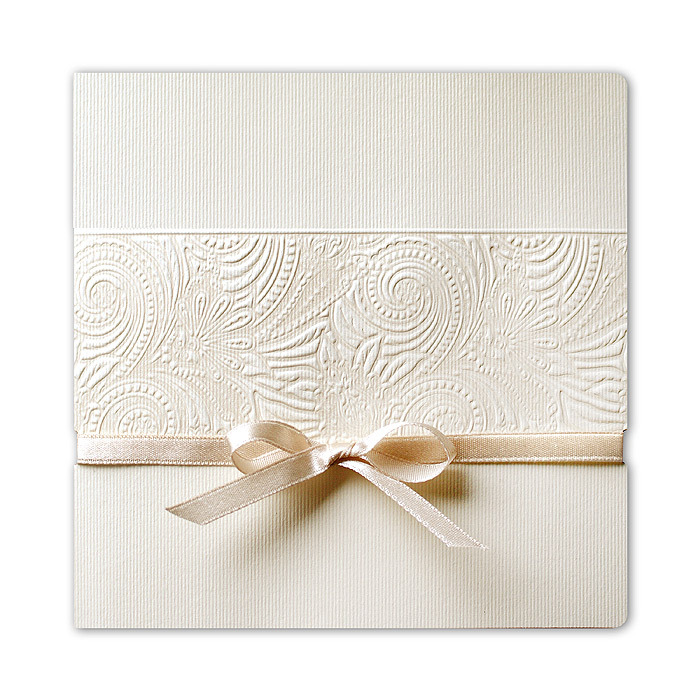 An envelope is included in the invitation set.